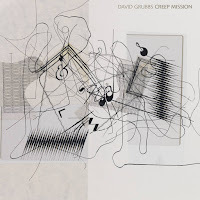 For the last three weeks I've been waiting for the new album from David Grubbs. I've been following his music for years now. Years ago, he had a duo called Gastr del Sol with Jim O'Rourke. This is where I discovered his unique way of playing the guitar. Mostly he uses a clean sound and somewhat catchy chords. But every time, his songs or tracks open up to something that is far beyond pop-music (which is why I think it is appropriate to write about his latest album here). 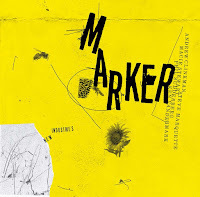 Listening to the new record I realize that the routes Jim O'Rourke and David Grubbs each took are very different but they both move between song and sound. Every few years Jim O'Rourke releases an album with perfectly composed pop songs. 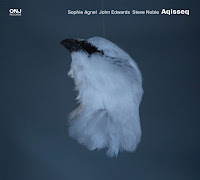 After that he continues to work in the field of improvised music with guys like Keiji Heino and Oren Ambarchi. David Grubbs has also worked with different musicians over the years whom I have tried to follow. He worked with Mats Gustafsson, with Andrea Belfi, with different electronic sound artists and musicans such as f.s.blumm. Jim O'Rourke seems to separate his two approaches to music completely. David Grubbs puts tracks and songs on the same record, standing side by side. Another difference between the two might be that Grubbs' way of playing the guitar was and is always recognizable. On some of his records the free often electronic based tracks stood side by side with the more guitar-based songs. David Grubbs often composed songs in which he actually sang. So there was (and maybe still is) a connection with "pop-structures". On the last couple of releases though something changed. The connection between his catchy approach and the free or improvised tracks grew stronger. I've been listening to the new record Creep Mission over and over again. All the ingredients are there: The typical Grubbs-guitar, electronics and some drumming, this time by Eli Keszler. Nate Wooley is adding some trumpet sounds on four of the seven cuts. 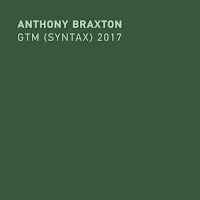 There are no vocals on this record which might be another indicator for the theory that David Grubbs is breaking down the barrier between the two different approaches he is following. And the outcome is outstanding. The album is not harsh or wild. The sound is very calm but if you are listening closely there are many different layers to it. Listening to it you are waiting for an outburst to release the tension that is there but it seldom comes. 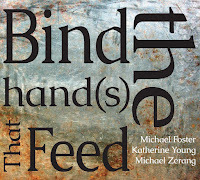 Grubbs holds this tension between song and sound, between calmness and outburst. The first track 'slylight' is a very good example for this. It starts of with a few guitar picks that sound almost shy. There is this bass-tone he plays in so many of his pieces which is a sort of grounding to the open chords he usually adds. It takes more than a minute until Eli Keszler comes in with his drumming. But this also is rather calm, and it is a lot of cymbals. Three minutes in the sound changes as both the guitar and the drums intensify. 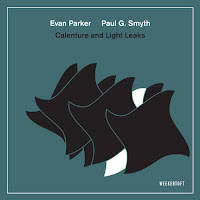 Grubbs switches to a minimalist guitar pattern, the drums retreat to near silence, and Nate Wooley adds a breathy trumpet. So the course of this piece moves from very calm and kind of catchy (or at least easy to grab) to openness with a minimalistic tone to it. 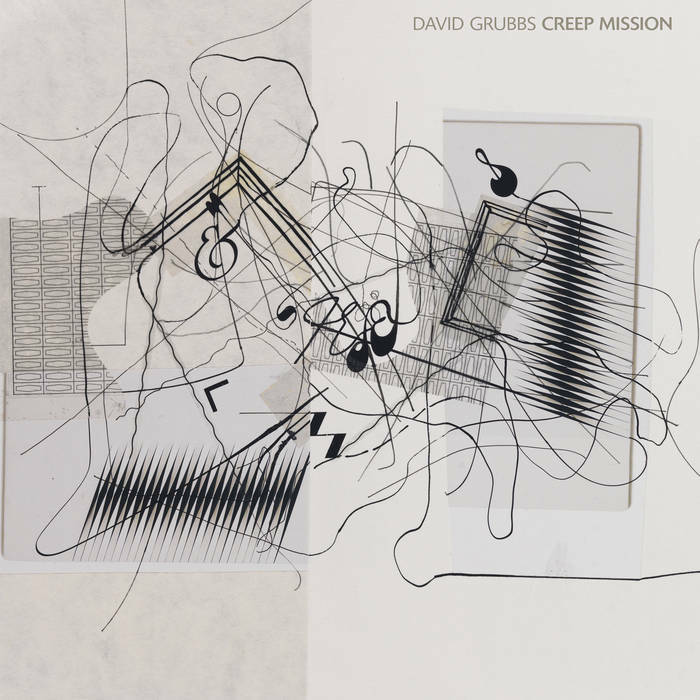 This is the tension I hear within Grubbs' music that I enjoy so much, and on this album he holds it at his best. The second track 'Creep Mission' is also a very neat interplay between Keszler and Grubbs with Wooley entering after a few minutes again. The other tracks are different and still recognizable Grubbs. 'The Bonapartes of Baltimore' features only Grubbs and his guitar, 'Jeremiadiac' has a strong electronic woof (added by Jan St. Werner) to it, and so on. The info on the homepage of DragCity describes the album as bi-composed/improvised. Though the credits on the CD go to Grubbs alone with the exception of 'Jeremiadiac'. The relation between composed and improvised is similar to the relation I tried to describe with the 'pop-structures' and the more open parts. All this tension makes this album a worthy listen.